This fish is a gray chub, so why is it yellow? That’s a question with no good answer. 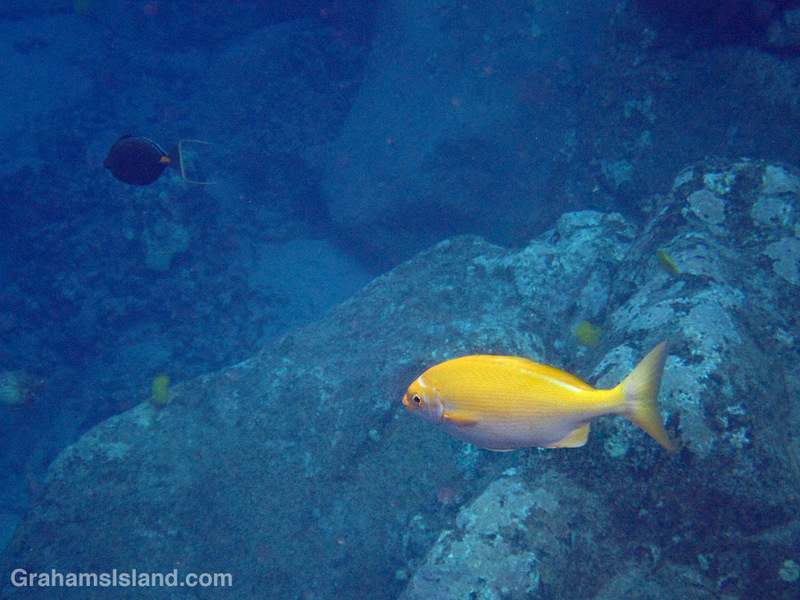 Locals used to think that yellow-colored chubs were ‘queens’ of their schools, but there’s no evidence to support that. Instead, it’s regarded as simply a color variation, seen in a few fish, that is without significance. This is the first one of these I’ve seen. 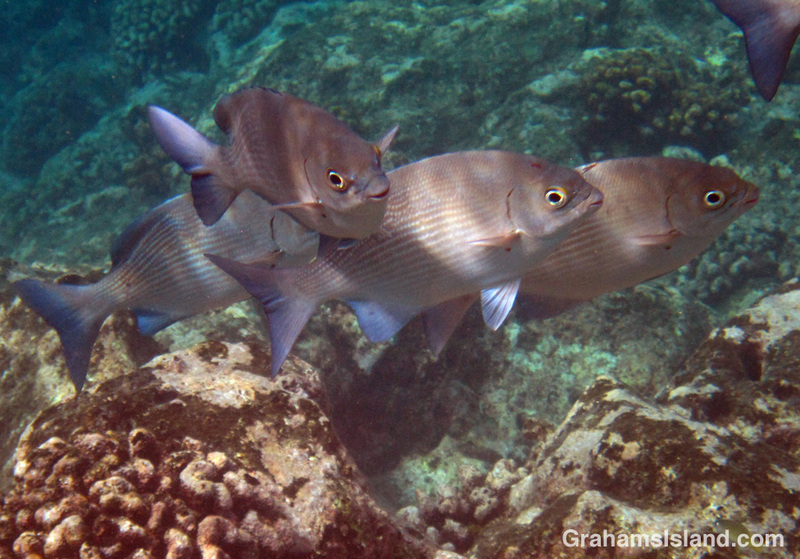 Gray chubs’ usual coloration can be seen in the photo below. What a lovely description. Wish I’d thought of that. The yellow is so striking! Yes, I was happy to get a photo of it.